How to Use Public Transportation in Vienna? One of Europe's most picturesque and historic capital cities, Vienna is a relative breeze to navigate. Unlike sprawling Berlin or mega-metropolis London, the Austrian capital is a mid-tier city that you'll likely find manageable as you try to get around. Still, it's a good idea to familiarize yourself with public transportation options in Vienna ahead of your next trip, especially if it's your first. Here's a guide for complete beginners. Vienna is served by an extensive network of tramway, subway/underground (U-Bahn) and bus lines, which make getting pretty much anywhere in and around the city easy — at least once you get the hang of it. 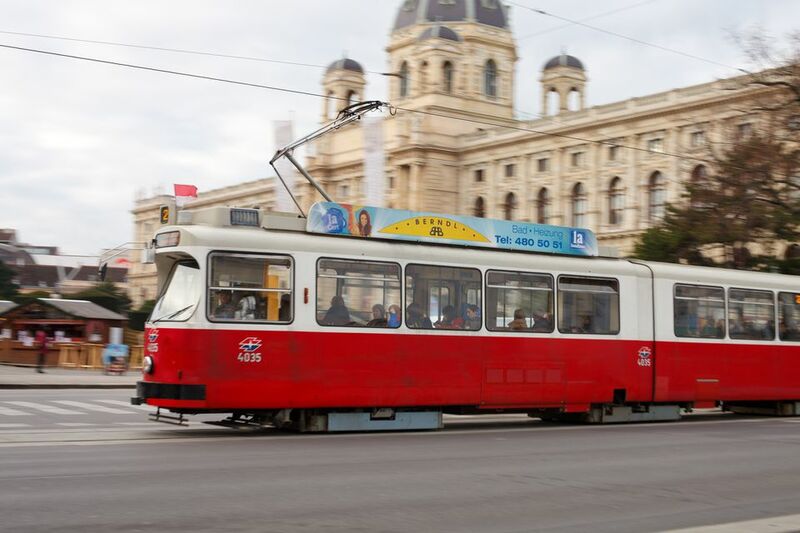 The iconic red tramways snaking through the old streets of Vienna are as much a part of the city's identity as its grand palaces and graceful cafés are. Some 30 different tram lines crisscross the city and its outskirts, so you can pretty much rely on this mode of transport to see major attractions in the city center. Some even allow you to get out to vineyards and other sites to enjoy a day trip to a nearby city. Most tram lines operate daily between around 5 a.m. and 12:50 am. Busy and popular tram lines servicing the city center include Line 1, servicing the central Burgring area, Rathausplatz (City Hall), Opera House and the sprawling "Prater" park; Line 49, servicing the "Ring" area and the Volkstheater; Line 62, servicing the Opera house and Karlsplatz; and Line 2, servicing the transport hubs of Stubentor and Schwedenplatz and ending at Friedrich-Engels-Platz. A safety note about trams: pedestrians should use extreme caution around trams, which cannot brake and zip around the city in all directions. Cross busy intersections crossed by tram lines only after looking both ways first, and watch for any signals telling you to stop. Most tourists will find that using the trams is sufficient for getting around, but at times you may want to use the U-Bahn (subway) as well. There are a total of 5 lines (U1, U2, U3, U4 and U6 — no one really knows why U5 is missing); these operate daily from around 5 a.m. to 12:15 a.m. (Monday to Friday) and through most of the night on weekends. While it may prove unnecessary to get around by bus, they may occasionally be useful. This is especially if you want to take a day trip to a destination that extends beyond the city's tram lines. There are nearly 100 different lines, which can feel a bit overwhelming to visitors. If you think you may need to use a bus, consult the online trip planner to simplify the process. How to Plan a Trip Using Public Transport? The easiest way to do this is to visit the Wiener Linien transportation authority website and use their trip planner (in English). You can also download maps and timetables there. There are several ways to buy tickets for trams, U-Bahn and buses. To decide what sort of tickets you'll need for your trip (single tickets, 24-hour, 48-hour or weekly passes, etc), visit the ticket information page. You'll also find updated information on current prices (including discounted fares) there. Ticket machines can be found at most U-Bahn underground stations; you can pay with Euros, a debit card or a credit card. Be wary of international transaction fees if using the latter. Tickets are also sold at Vienna's 850 tobacco (Tabaktrafik) shops. You'll find these all around the city center. You can also buy tickets online in advance. A smartphone app allows you to easily purchase tickets and daily, weekly or monthly passes from your phone. The app is available on the Android and Apple app stores. Validate your tickets by inserting them into the designated validation machines in trams and buses (and at the entrance point of UBahn lines). You may transfer freely between trams, buses and UBahn lines as many times as you'd like to during a single trip, but you're not allowed to interrupt travel. If you make a stop somewhere you'll need to use a new ticket). For more details on how to navigate the city, information for visitors with limited mobility and advice on what types of tickets and passes to buy, see this page at the Wiener Linien page. You can also find more info at the Vienna Tourist Board site.